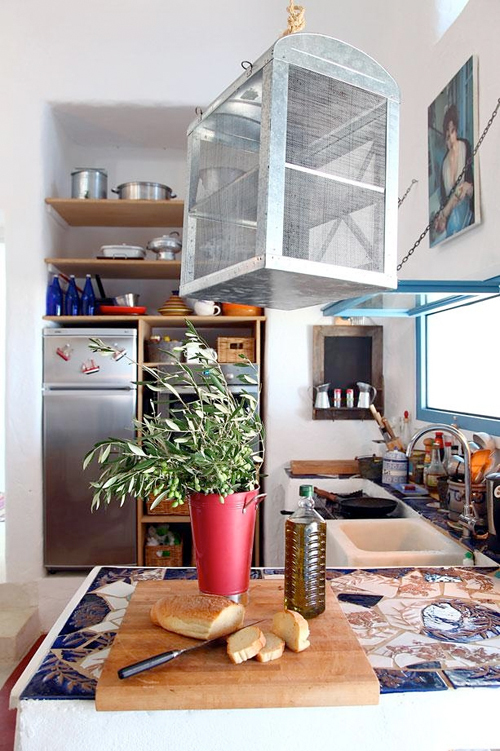 Today another summer house, this one is located on a Greek Island. 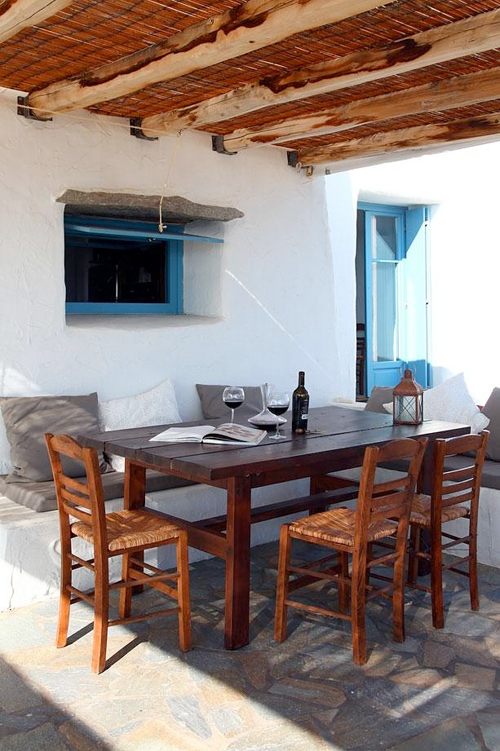 The architecture of this lovely home is typically Greek: white washed walls with blue windows and doors. 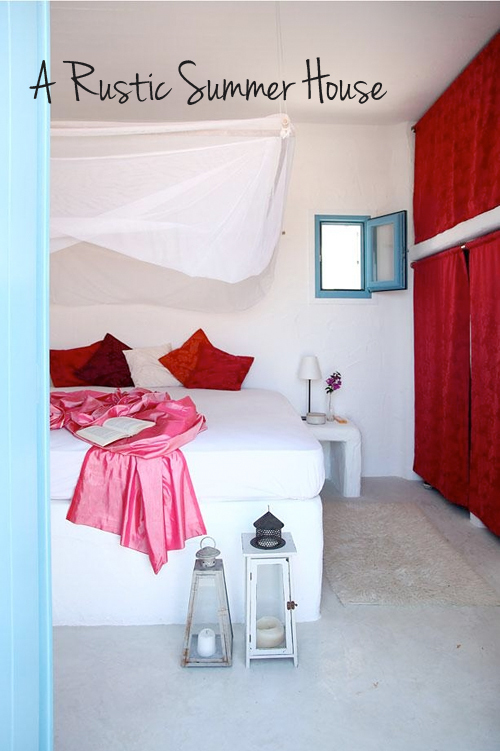 The decor and interior is simple but offers everything one might need for a having a wonderful and relaxed summer time. Not going to Greece for my summer vacation this year so am going to miss it! 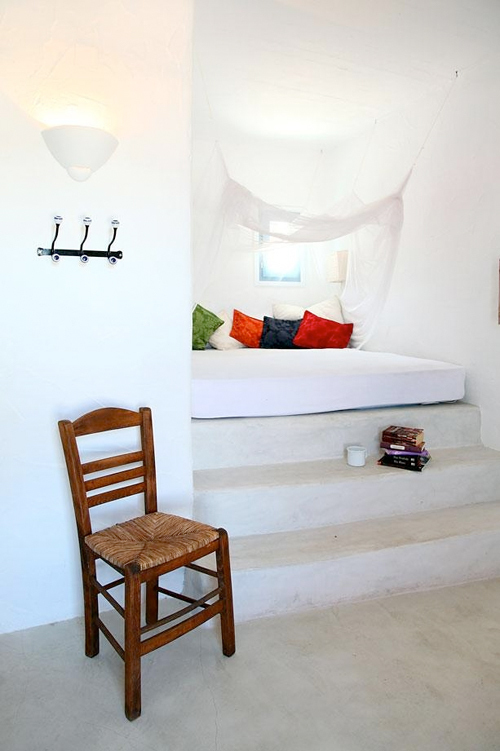 This would be my “perfect” home, I love the simple lines and Greek charm. That outdoor dining set is to die for! Such a great example of greek style at its best! Thanks Carla for your very kind and flattering words about The Style Files and Le Souk. This is very much appreciated! Have a wonderful weekend!